27th and 28th April 2018 Main Room Entertainment across our Fylde Coast Holiday Parks! We have a fantastic weekend in store for you, hope you all can make it and enjoy the fun. 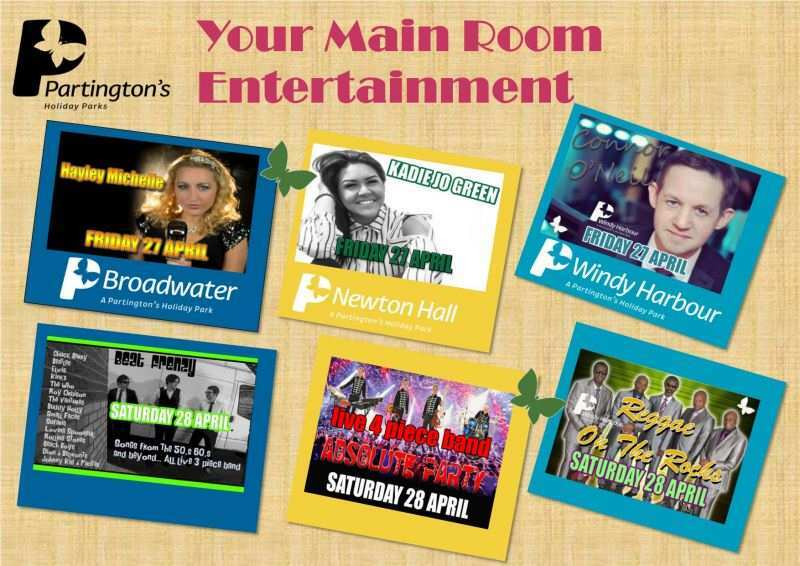 27th and 28th April Main Room entertainment at Broadwater, Windy Harbour and Newton Hall Holiday Parks.